Thank you for considering Silvan Ridge Winery for your next special event! Established in 1979 and maintained in the tradition of a small European winery, Silvan Ridge is the ideal setting for any wedding, corporate function, or party. 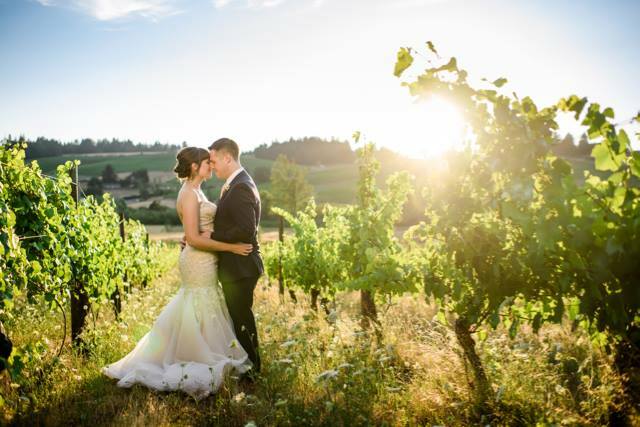 Located just fifteen minutes southwest of Eugene, our natural setting and vineyard views provide the perfect backdrop for your special day and our beautifully decorated indoor facilities create a formal, yet relaxing atmosphere. From our intimate dining room to our ever-popular banquet room and tasting room, every aspect of our facility is decorated with good taste and a “vintage” style. The winery is currently booking weddings for Wine Club Members only, but non-Club members may book the winery for parties, corporate functions, and other special events. Click here for more information about our Wine Clubs. The winery is open daily from 12-5 pm if you would like to take a look in person at the spaces we offer for special events—no appointment is required unless you would like to talk with our Manager, Lydia Admire. Lydia can be reached at lydia@silvanridge.com or (541) 345-1945 ext. 202. 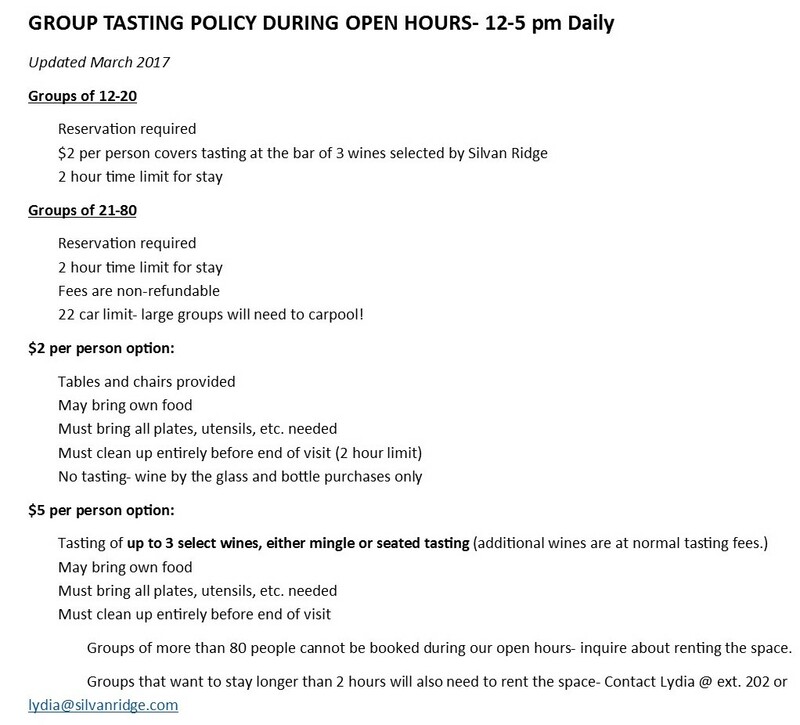 Appointments are required for groups of 12 or more, and there may be a tasting fee. Please refer to our group policy. We offer five options to our limited production Pinot Gris, Pinot Noir, library and member-only wines.